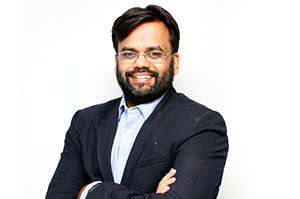 Deepak Garg is a thought leader in the field of new age logistics. Deepak founded RIVIGO in 2014 with a globally unique idea of relay driving to make logistics faster, safer and more human using technology and data. As a leader and innovator, Deepak is known for complex data-driven problem solving and issue resolution through technology. Deepak’s ability to hire a world class team and build high-performance culture has served as a growth catalyst and infused a sense of purpose at RIVIGO. 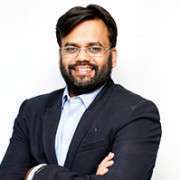 Prior to starting RIVIGO, Deepak worked with McKinsey & Co from 2006 to 2014. He has extensive experience in working with large clients on complex supply chain issues and has worked with clients across geographies in Asia, Australia and Africa. He speaks regularly at global forums on data, technology, supply chain and leadership topics. Deepak has also recently won The Fortune India 40 under 40 and The Economic Times 40 under 40 awards. In his free time, he enjoys reading and travel and is passionate about new ideas and creating impact at scale. Within just 4 years, RIVIGO has emerged as the largest and the fastest growing technology-enabled logistics company in India, owning a fleet of over 3000 trucks. It uses an innovative ‘driver relay’ model that enables trucks to cover 3 times more distance while making the life of truck driver more human. RIVIGO serves firms across all major industries in India with its full-truck load, part-truck (express cargo), cold chain logistics as well as digital freight aggregator services. Deepak holds a Master’s in Business Administration from IIM – Lucknow (2006) and Bachelor’s in Technology from IIT – Kanpur (2003).